Now to be found in the gallery Photography / Eclipse / Total Lunar Eclipse 2019. 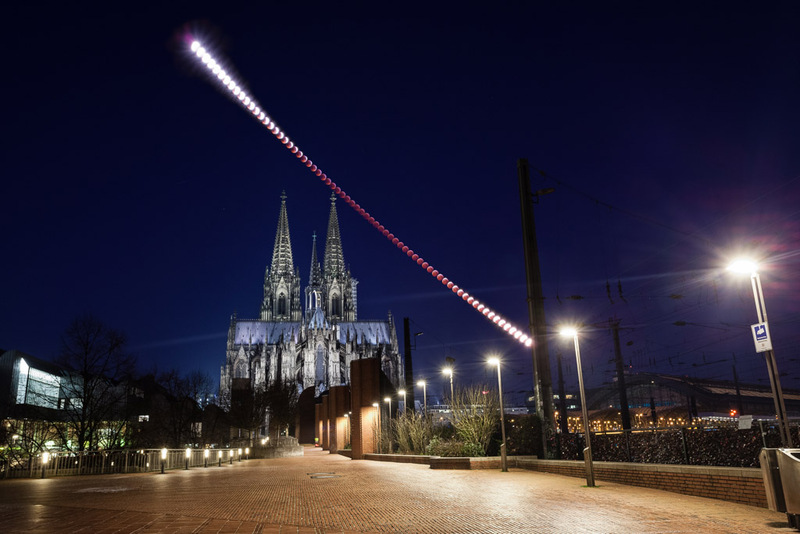 This entry was posted in Astronomy, Astrophotography, Cologne, Eclipse, Photography and tagged astronomy, astrophotography, Cologne, Eclipse, EN, events, germany, photoblog on 2019-01-23 by mj. [Update] WOW, what a pleasant surprise. This image made it as Astronomy Picture of the Day on 22 Jan 2019! Composite of 68 images for the moon trail from 04h41 until 07h29 CET edited in Lightroom/Photoshop, thereof 3 for the foreground and the dawn sky at 07h29 CET, removing a bicyclist and a pedestrian. Some horizontal stray light from the street lights. We spent a total of 4 hours at around -7 °C at the Hohenzollern Bridge, but that’s the fate of the astronomically minded. 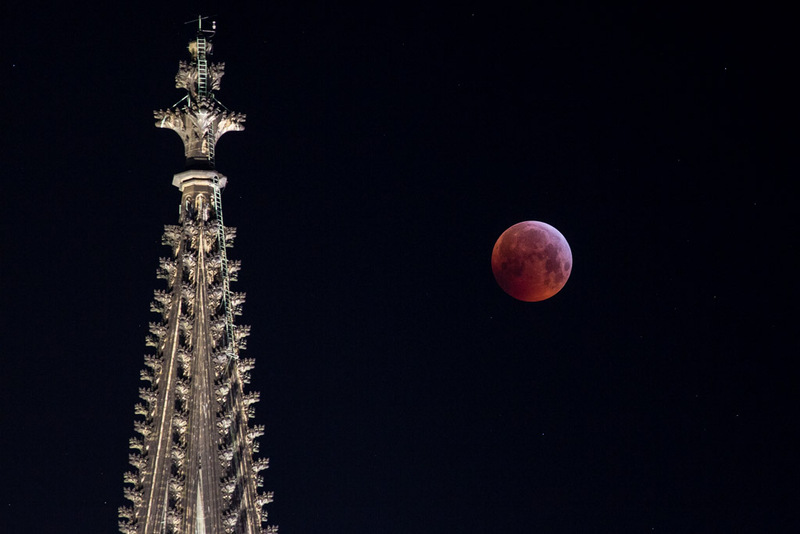 This entry was posted in Astronomy, Astrophotography, Cologne, Eclipse, Photography and tagged astronomy, astrophotography, Cologne, Eclipse, EN, events, germany on 2019-01-21 by mj. 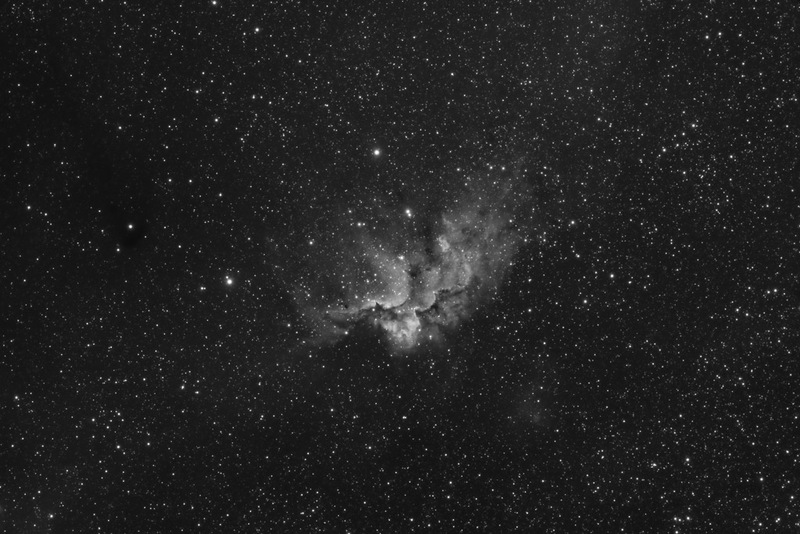 Black and white version of the Wizard Nebula. This entry was posted in Astronomy, Astrophotography and tagged astronomy, astrophotography, bw, DE, EN on 2019-01-12 by mj. Image with technical details also posted to Astrobin. Alle technischen Details bei Astrobin. 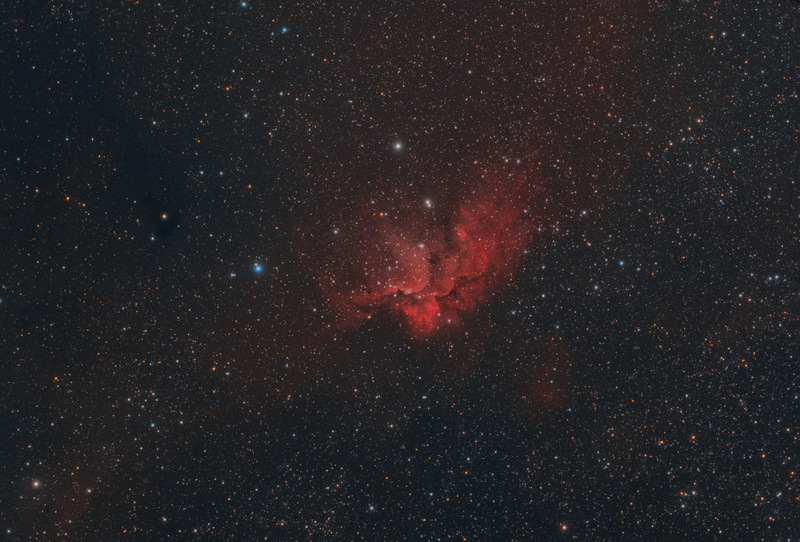 This entry was posted in Astronomy, Astrophotography and tagged astronomy, astrophotography, EN on 2019-01-07 by mj. 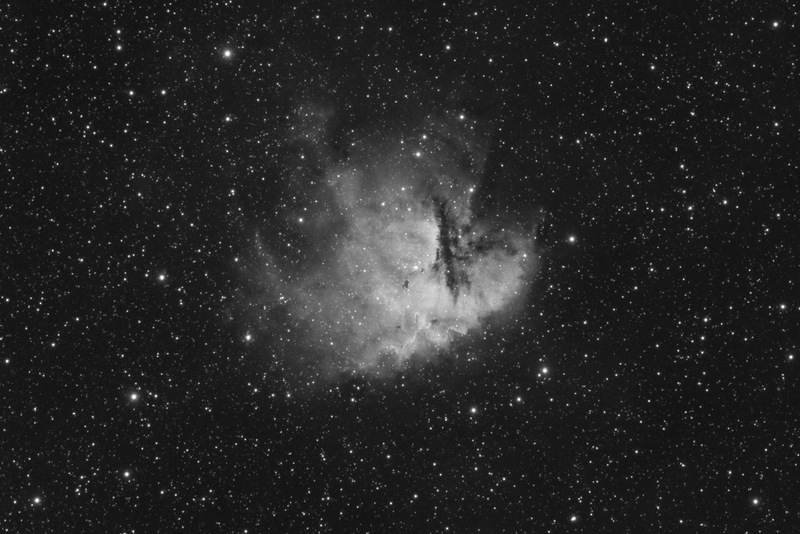 Black and white version of NGC 281, modified processing of the previous image, extracted the red channel, which is approx. 20 nm H-alpha with the IDAS LPS V4 filter. Schwarzweiß-Version des NGC 281, modifizierte Bearbeitung, extrahiert wurde der Rotkanal des vorherigen Bilds, der IDAS LPS V4 verhält sich im Rotbereich wie ein ca. 20 nm H-alpha-Filter. This entry was posted in Astronomy, Astrophotography and tagged astronomy, astrophotography, bw, DE, EN on 2019-01-04 by mj.